Many of you know our motto at Palizay Media: Value over everything. We don’t sell marketing, we take the value a business has to offer and attach it to the attention of an audience. One of the first things we work on with our clients is respecting attention. Some people are so upset that they can’t reach 10,000 followers on Facebook or Instagram, or break the 1,000 a month unique website visitors a month threshold. Here’s the thing: We spend all our time connecting with numbers when really, we need to be connecting with our audiences. It’s time the modern marketer learn how to reconnect with their audiences on a deeper level. 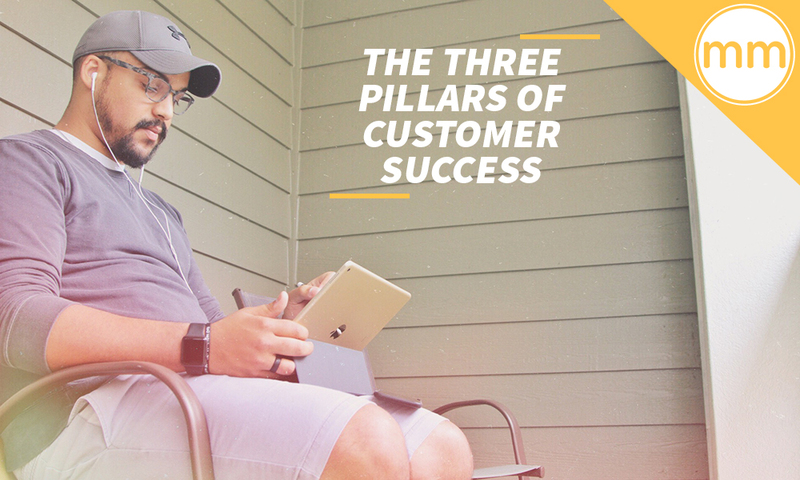 Here are three pillars for creating a deeper connection with your audience for customer success. Too many businesses spend their time day after day looking to go wider. They want to know how to reach more people, how to get more leads, how to convert more people. Then when they get more people, they wonder why it’s so hard to continue growing their sales. It’s because those businesses are thinking about their growth horizontally. They want to grow wider and wider. You need to think vertical instead of horizontal. You need to understand that growing vertical with 5% of your customer base is better than growing horizontal with 95% of your customer base. Providing a lot of value to a smaller number of people is better than providing a little value to a larger number of people. Because by focusing on the 5% of your customer base that truly cares about your brand will yield a lifetime of value. Those people who really care will be brand advocates and will return again and again to support your business. Stop chasing more traffic, more leads, more followers, more listeners, and more watchers. The quality of a few customers you have is going to be far more profitable than the quantity of customers. So how exactly do you go deeper with the customers you have? It’s all about creating value. Value. Over. Everything. You need to understand that right now people are talking and engaging. Content is being shared and discussions are being had. …and most of those people will never come in contact with your brand unless you step up your game a little bit. I always say that true customer service starts before the sale. And I didn’t just hear that somewhere. I experienced it and put it into practice. Some of my highest paying clients came from times where I was social listening. I came in on the conversation, provided a ton of unexpected value, and then just sat back and watched what happened. And just like that, the messages and emails started flowing in. All because I found where my audiences gathered and lived in that space. At the end of the day, this allowed me to connect with them on a deeper level and reel in the sale. If you can dominate the space where your audiences are and commit to providing deep value, the connections you make can provide more value to you than a person who buys from you one time. So consider this: Rather than trying to provide value in a new format, how can you provide more value through the content you already write? Instead of starting a new social account and trying to reach people there, how can you leverage the communities of the social platforms you’re already on? Instead of spending more dollars on ads, how can you provide more value to the people who are already giving you their money? I encourage you to go deeper. Let me expand on that. Customer perception is incredibly important, and the perception that each person develops in regards to our brand will be highly dictated by the experience that you provide for them. What do your customers expect? They expect you to have a good product or service. They expect good communication from you. They expect good customer service. These are all standards of a good business. But that’s just it—it’s standard. By doing these things, you’re doing the bare minimum. You’re not differentiating yourself from any other business by doing what’s expected of you. The important question is: what’s something your customers don’t expect? The specific answer to this question will vary from business to business, but it all comes down to one thing: More value. This could mean giving some expert advice to the right person, at the right time, in the right context. People are out there asking questions and if you answer at the right time, you could change the game for them and forever leave an impression. You can also give something away for free. Who doesn’t like free stuff? Consumers don’t mind paying for what they find valuable, and if you can show them your value through a free sample or free trial, you’ll greatly improve their customer experience. 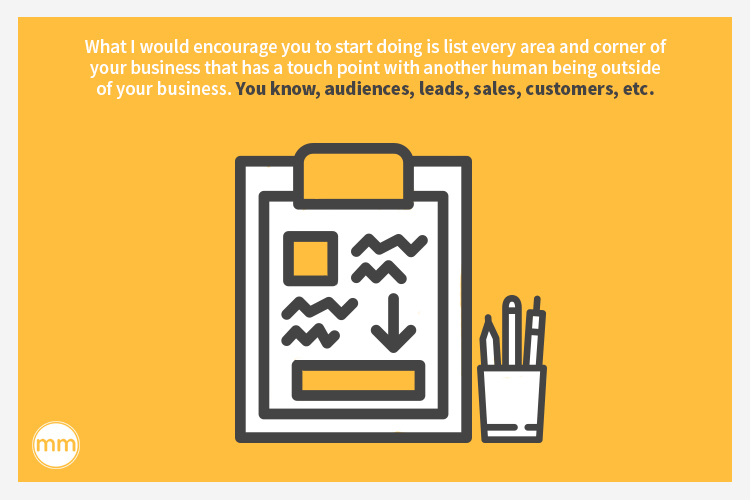 What I would encourage you to start doing is list every area and corner of your business that has a touch point with another human being outside of your business. You know, audiences, leads, sales, customers, etc. Once you have each area listed out, make two columns next to each line. On the left side of the column, write down exactly what those people expect at that point in the buyer journey. On the right side of the column, write down at least one thing that your brand can provide that they don’t expect. Don’t settle for average experiences for your customers, your audiences, and your leads. Greatness isn’t obtained by simply providing what someone expects. We all want to generate new leads. But that should never be the sole purpose of a marketer’s existence within the company—there’s so much more to it than that! There’s a ton of focus in marketing on analyzing data, organizing A/B testing, and all sorts of other tactics designed to bring in new leads and successfully convert them. This is called customer lifetime value or CLV. You can’t scale a business with a first sale. You need a second sale, a third, a fourth, a fifth, and so on. That means you have to provide value beyond that one sale. The truth is even though you may have a dope product or service, it isn’t for everybody. And pretending it is won’t endear you to customers. You know that you have to provide value, but that doesn’t mean that every customer who falls into your lap is a perfect fit. So how do you maximize CLV? Each opportunity must be evaluated on an individual basis because CLV is highly dependent on the relevancy of the value you can provide. If what you have to offer isn’t truly relevant, they won’t be back. If you don’t have a particular niche, then get one. When you know who you are and what you’re offering, your clients will too. This increases CLV exponentially. Once you know your niche and have the right customer, you need to upsell like it’s your job. Because it is. This only works if your customer trusts you to lead them in the right direction. Concentrate on politely, in an un-obnoxious way, offering more value to your customer through products and services you know will benefit them and simultaneously up their CLV for you. Another way to increase that CLV is by asking your loyal customers for referrals. Those customers will do the lead qualification process for you, you just have to ask. When it comes to maximizing lifetime value, it’s not just about selling a customer your product or service. It’s about selling them your vision and purpose. Going deeper is key to growing your business. 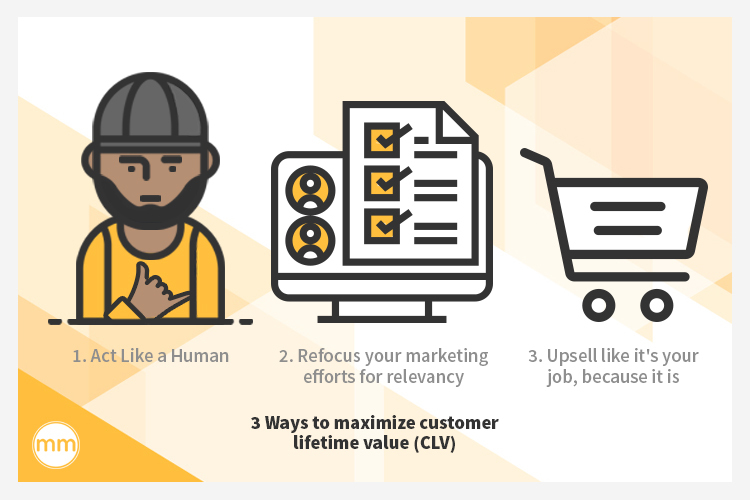 By putting in that effort to truly connect with your audience, providing that unexpected element of value, and maximizing that lifetime value of a loyal customer, you’re setting yourself up for success with your customers. Don’t go wide, go deep. Say all of this again, wait, shout it from every platform you have… oh wait, you already do because you practice what you preach and you invest in those of us who are following. Thank you for living this out and teaching it, Derek! If you’re following the news, and frankly even if you’re not, you’re probably aware of a few brand crisis situations happening around us. To name a few, there’s Wells Fargo, a well-known and trusted financial institution attempting to recover from a fraudulent account scandal; there’s United Airline’s trying to fight it’s way back from a violent removal of passengers; and Uber, one of the largest tech disrupters, juggling numerous legal allegations and PR nightmares. So what do a financial institution, a global airline and a ride-hailing tech service all have in common? A toxic corporate culture. That’s no joke. Years ago, when I was just starting out in my career, I worked for a marketing/sales company called Focus Marketing & Associates. We would go door-to-door selling coupon cards to local businesses. Sort of like selling a Groupon face-to-face, before Groupon was a thing. Anyway, door-to-door solicitation is not an easy job. I’d have doors slammed in my face or people questioning my ability to read (as I pretended I didn’t see that “no solicitation” sign on the door). It’s not like the money was so great either; I’d get about $1 for every coupon card I sold, and most of the time, I’d buy them from myself to save the heartache. Still, I stayed with them for two years. Why? Simple. I felt like I was a part of something. Though the job itself was daunting (to say the least), my supervisors and colleagues were like family. We’d spend time together outside of work: picnics, movie nights and karaoke. Whenever the stress of the job would get to me, my team leader, Peter, would “re-train.” He’d work my territory with me, reminding me what confidence looks like and how to get past the obstacles I was facing. I went back to work after each retrain, refreshed and ready. Ready to make Peter proud. Nice story. So what? Corporate culture, employee retention, and training programs are all issues for the HR department. My hats off to you if you hold a marketing position and can define your role that clearly. The thing about marketing—no matter your industry—it is an ever-changing, ever-adapting role. Where we once were limited to just presenting our brands to the outside world, we now find ourselves responsible for protecting our brand, improving our brand, or in some cases, re-creating our brand. Our brand is one of the most important aspects of our marketing strategy. It is the way we present our business model to our customers, laying out what our customers can expect from our company, products or services. A solid brand strategy will give us a competitive edge, setting us apart from our competitors. Truthfully, a company culture doesn’t have to be toxic to threaten the brand strategy. Any company culture that doesn’t align with the company’s message will threaten the strategy. However, maintaining a healthy corporate culture will be easier to align, realign, or very often, drive the brand strategy. Recently, my boiler stopped working. I knew it wasn’t because I was out of oil because I had just refilled the tank (admittedly after three months of putting if off). The technician informed me that because I had let the oil run down so long before refilling the tank, there was now residual sludge clogging my system, stopping my boiler from functioning properly. An unhealthy company culture isn’t created intentionally, nor does it occur overnight. Don’t ignore the signs of a company culture heading in an unhealthy direction. Left to fester, it will become the sludge that slowly clogs the system and stops your marketing from functioning properly. Marketers need to be thoughtful about creating and sustaining a healthy company culture to effectively market our business. Marketers have a unique skill set, and many of the strategies used to present a company’s brand to the outside world can translate to creating, sustaining and driving a positive company culture. 1. Target audience. Every marketer knows that the key to disseminating a clear message is to understand who is receiving this message. An important thing to remember is that your team is part of that audience. Make sure whatever message you are portraying to the public matches that of what’s occurring within your walls. 2. Lifetime value. 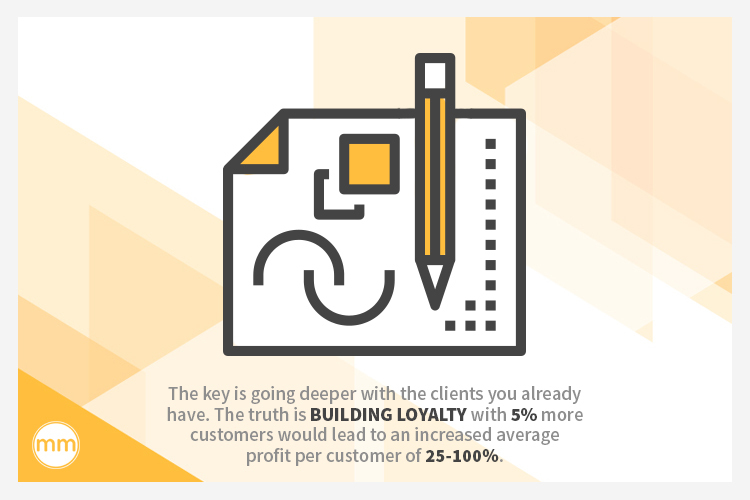 In marketing, we measure the customer lifetime value by predicting profits that can be attributed to a continued relationship with that customer. What if we were to measure the lifetime value of each team member? Try to predict the amount of profit that might be associated with a continued relationship with team member—or measure the potential loss. 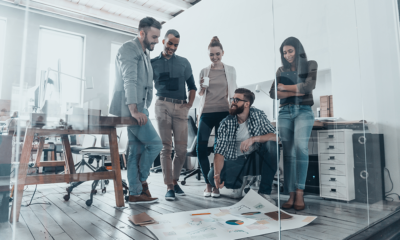 Gallup has done great research about the value of culture, and they have the data to prove that a strong corporate culture when employees want to stay translates to higher profits. Every point improvement in employee engagement, translates to an increase in profitability. 3. Touch points. Each time our customers interact with our company, we consider that a touchpoint, whether it be a visit to our website, social media, or a phone call to our office. We track each of these touch points to ensure that a customer has a positive experience. Where there might be an issue, we hustle to address it immediately. Do the same for your team. Focus on the team member’s journey and track each touchpoint along the way, so that when a team member is experiencing challenges within their given role, you can address it immediately. 4. Encourage feedback. As marketers, we go out of our way to facilitate open communication between our company and our customers. We value this because it allows us to get into the customer’s head. The best way to find out what a customer wants or needs is to hear it from the customer. Guess what? The same holds true (or should hold true) with our team. 5. Word of mouth. We love when we have a happy customer that shares their experience with friends and colleagues. We love it so much, we’ve created referral marketing campaigns and incentives to encourage more of it. There’s no better advocate than our team! Make it easy for them advocate for your company, by providing them with an excellent (and consistent) experience and allowing them the voice to share it. Marketers are the keepers of reputation and are also called upon to rebuild it when things get screwed up. Incorporate company culture into your marketing plan by applying your marketing skills to an internal marketing strategy. Work hand-in-hand with HR and with leadership to develop and sustain a culture that aligns with your strategic goals and encourages employee engagement. Start making your company culture an issue for the entire team, a part of your brand strategy. Only when marketers start to care about the culture will it begin to be more than just an HR issue, but a way of business life. It’s no question that the connections you make in business are important for growth. We need other people to help us expand. It’s also no question that there are certain people out there who we know would be particularly great connections to have for growing our business. But some people are just way more difficult to connect with than others. Especially if they’re big name influencers. So how do you do it? 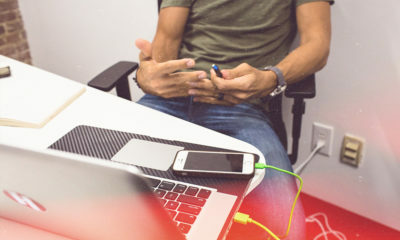 How do you land a meeting with even the most difficult people to connect with? The first thing you have to do in order to be able to connect with someone is to become so relevant that you attract them. Relevancy is like a magnet. If you’re relevant enough, you’re on a person’s radar. This means figuring out what makes this person tick. What are they posting about? What publications are they posting from, posting consistently? Find this person’s channels and get inside their head. Because if you can figure out how their mind works, if you can figure out what’s important to them, then you can become more relevant to them. When you’ve figured out what exactly is relevant to the person you’re pursuing a meeting with, then you start creating content around the topics, people, organizations, and brands that are relevant. This also means distributing that content on relevant and appropriate platforms. If the person you’re trying to meet with is an active blogger with a strong presence on Facebook, it’s not going to make a lot of sense to create content for YouTube and expect it to show up on that person’s radar. Create relevant content, but also distribute it in the context most relevant to the person whose attention you seek. Okay, now let’s so you’ve created relevant content and you’ve shared it on relevant platforms, but it’s not getting much attention. Part of becoming relevant means developing the right audience. It won’t happen overnight. Ironically, becoming relevant takes time. Creating relevant content is meaningless if you don’t have an audience. You might as well be shouting into a void. If you’re walking down a street and see two street performers— one without a crowd and one with a large crowd —which one is going to draw your interest? It’s natural for humans to be drawn to where attention already exists. Just like in real life, the more engagement you get, the more relevant you become in the digital world. This can take time. Be patient and keep creating and distributing relevant content. Over time, your voice will come up on the right people’s radars. What’s in It for Them? Why do people go on shows or accept interviews? Why do people agree to collaborate? It’s not because they have a lot of followers, it’s because they have a purpose behind it. Sure, I imagine there’s times when people do shows just because they want to offer some advice or just collaborate with someone in their community or circle of influence, but most of the time that’s not going to be the case. Look, for the most part, everybody and their mothers has some sort of agenda. It’s just life. When you want to collaborate with someone, they’re going to be most interested in what you can do for them. It’s not a one way street. Asking someone to dedicate some time, energy, or money to you is not going to happen for nothing. In the ideal scenario, collaborating yields some sort of value for both parties. So that means you need to consider the needs and desires of the person you want to meet with. What value can you offer them? What benefit can they get from collaborating with you? How can you make this meeting about an exchange of value, rather than just getting the value you want? Create a situation where you can offer relevant value to that person. Whether it’s a guest you want to have on your show, a client you want to meet with, a customer you want to sell to, or a CEO you want to meet and interview, consider how meeting with you can be of value to them. People are busy. You can’t expect to contact someone you really want to meet with once or twice and expect them to give you an immediate and affirmative response. I watched one of my favorite podcasters Lewis Howes interview Rainn Wilson, Dwight from The Office, and towards the end of the show, Lewis mentions how one of his goals is to be able to interview anybody. It may seem like this guy could land anyone on his show, but at the end of the day, some of the meetings with the biggest people he’s interviewed took more than 6 months to land. Sometimes he had to go back and develop more of his audience, or get more processes involved. Sometimes he had to follow up 15 times, just in order to get that meeting. It takes time and effort to connect with people. Even if you’re a professional at connecting with people. So don’t get discouraged or offended, everybody is busy. Some people get so offended when they can’t have the meeting they want to have right away, even with me. Sometimes I’ll get messages from die hard fans of The Modern Marketer saying they want to meet with me, and I’ll send a message back saying I can’t meet this week or I’m a little too busy. Then maybe some time will pass and we don’t talk for a little while and they stop commenting on and liking our stuff. Sometimes I’ll even get a message back saying I never answered their question, and they take offense. You have to realize that people you’re trying to reach out to are trying to run businesses, and they have lives— activities, endeavors, and obligations they have to fulfill. So it’s going to take some follow up, sometimes a lot of follow up, before you can connect with someone. Be consistent and maintain a kind tone in your voice, even if it’s through text-based messages. That consistency and tone are what will increase your chances of landing that meeting. Be patient. Keep reaching out. Don’t give up. Again, people are busy. It’s going to take time and effort to convince someone that you’re worth taking some time out of their busy schedules to talk to you. If you get offended or upset with them, that’s not going to help your cause. It’s going to hurt it. Not everybody is going to remember what you did or what you said, but everybody will remember how you made them feel. I have landed a lot of meetings and business because of the way I made somebody feel. It’s natural and human for people to be drawn to other people who make them feel good. If you can make that person feel important and honor their time, you are far more likely to get their attention. Keep a kind and welcoming tone. These are humans you’re trying to meet with, and like anybody else, they just want to be treated with kindness. If you make that person feel bad for not responding to you the way you’d like, they’re going to have no motivation to meet with you. Think about how you would want to be approached for a meeting and start from there. Attempt to make human connections. This will make a world of a difference in influencing the meetings you get. There’s no perfect formula to getting meetings with anybody. We all lead busy lives and the way the communication unfolds won’t be the same for every person. But we are all human, and deep down we all want the same things. We want to be respected, treated kindly, and have our time honored. We all want to be made to feel good. We’re busy and not every interaction is worth our time or energy, so we have to choose. Keeping in mind what’s relevant to the person you want to meet with, and what value you can offer to them is key in landing these meetings. Consider all these points when approaching someone to meet, and you will be all the more likely to meet with them.